There is a lot more out there, of course, especially looking at individual plays, and I do plan on looking more indepth at this subject, but this particular article is a little different. 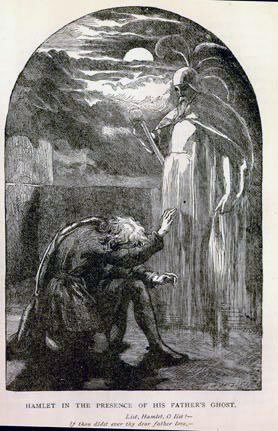 Macbeth on hearing and wishing to believe the witches’ predictions (Macbeth – Act 1; Sc. 3) – how quickly he thinks of committing murder, rather than some other cause for his succession! There is now a lot of information available from the Ask Shakespeare event on Twitter (2nd Feb. 2011), where international experts (scholars and performers) answered Shakespeare-related questions. Rather upset . . .
Have been looking forward massively to this Ask Shakespeare day, and now have been ill and unable to participate properly. Ah well – tweets can be seen to your right.